Federally mandated changes in infection control and disease containment have had a significant impact on dentistry and have become an integral part of the educational preparation of dental hygiene students. 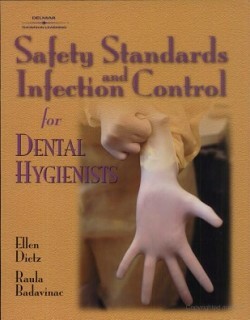 Safety Standards and Infection Control for Dental Hygienists presents thorough coverage of the safety standards and infectious disease prevention in five key areas: Microbiology and Disease Prevention Specific to Dentistry, National Guidelines, Recommendations, and Regulations Affecting Dental Practice, Infection Control Techniques in the Dental Office, Environmental Health and Safety in the Dental Office, and Office Communications Regarding Infection Control. Proper compliance in the professional world begins with proper training as a student and this comprehensive text provides the ideal educational content. The detailed content is augmented by learning objectives and key terms to familiarize students with the terminology along with Skill Mastery Assessment questions at the end of each chapter. Numerous hands-on procedures are included in the chapters to help students put the information and techniques into practice. Safety Standards and Infection Control for Dental Hygienists is truly one of the most critical student-to-professional texts to train sound infection control practices in future dental hygienists. The Instructor’s Manual includes Skill-Building exercises that can be used in class to encourage critical thinking skills and reinforce text concepts. The Instructor’s Manual also contains answers to the Skill Mastery Assessment questions found in the text.